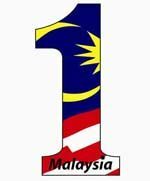 As highlighted in 2012 Budgets, households who earn less than RM3,000 per months are eligible to claim for one-off cash assistance under “Bantuan Rakyat 1Malaysia (BR1M)”. For those who are eligible, the registration will be opened until 10th February 2012 (extended date) at various locations including schools. Registration form we be distributed via newspapers and also can be downloaded from Ministry of Finance website. An action will be taken against people who claim the one-off RM500 aid, but not qualify & submitting false information.